BEGIN HOME OWNERSHIP HERE! Looking for country living, ...look no more! 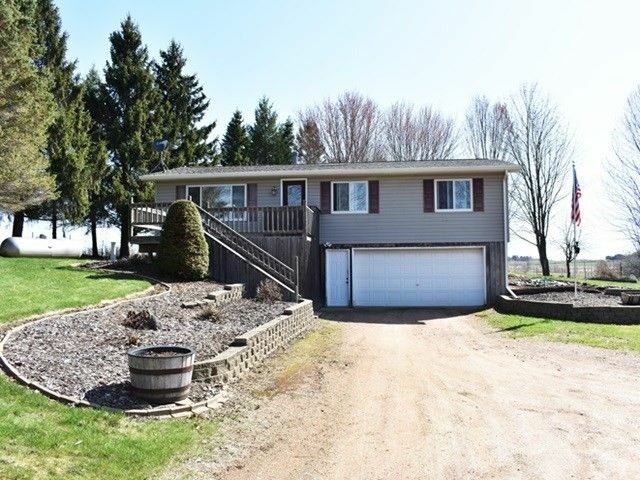 This 3 bedroom, 1 bath, ranch home is well maintained located on 1.23 acres close to town. This home offers newer windows, roof on home & detached 24x20 garage in 2016, Â sauna (in back yard) & partially finished lower level. It also offers open concept from dining room to the living room with lots of natural light and gives a view that is priceless. This home is move in ready and waiting for the right buyer to make it their own! Directions: N on Hwy 97, W on Drake to home on left.